A non-profit health center in Charleston, providing a full range of women’s reproductive health services and gynecological care, ranging from family planning, pregnancy counseling, the “morning after pill,” and abortion services. WV FREE is a reproductive health, rights, and justice organization that works every day for West Virginia women and families to improve education on reproductive options, increase access to affordable birth control, reduce teen pregnancy, improve adolescent health, and protect personal decision-making, including the decision of whether or when to have a child. The mission of the National Abortion Federation is to ensure safe, legal, and accessible abortion care, which promotes health and justice for women. 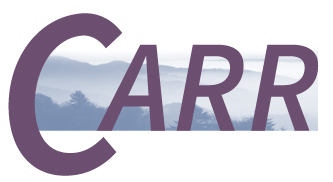 The Women’s Resource Center is based in Southern West Virginia, and provides temporary shelter, counseling, advocacy and supportive services for victims, survivors, and witnesses of domestic violence and sexual violence. Catholics for Choice (CFC) was founded in 1973 to serve as a voice for Catholics who believe that the Catholic tradition supports a woman’s moral and legal right to follow her conscience in matters of sexuality and reproductive health. The Guttmacher Institute is a research and policy organization committed to advancing sexual and reproductive health and rights in the United States and globally.